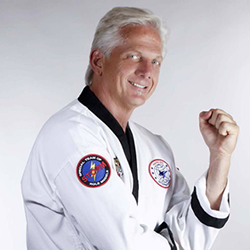 Grandmaster Dave Wheaton is in the Martial Arts Hall of Fame and has been teaching various forms of Martial Arts for 50 years. In this 805conversation he covers a wide range of topics beginning with how he first learned self-defense. Dave has been nurturing his entrepreneurial spirit his entire life and has become a student of ‘how to teach’, both in martial arts and as a flight instructor. The conversation’s geography goes from Connecticut to Hawaii to Santa Barbara. This is a fascinating discussion with a man who has over 30,000 hours on the mat. Malcolm Gladwell says we need 10,000 to be an expert. Now you know why he has the title, Grandmaster. Dave is the co-founder of Martial Arts Family Fitness, with his wife Melodee Meyer. Their KUT program has consistently won the Best Of award from the Santa Barbara Independent.